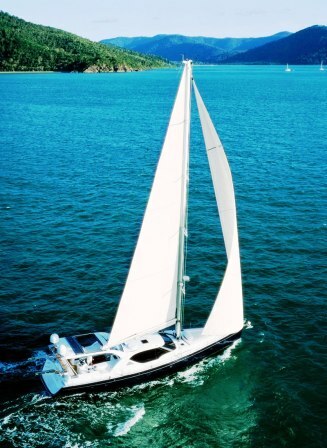 Luxury sailing yacht BLISS is an Australian designed Jutson 60 available for sailing holidays in the beautiful Whitsunday’s, heart of the Great Barrier Reef, Australia. 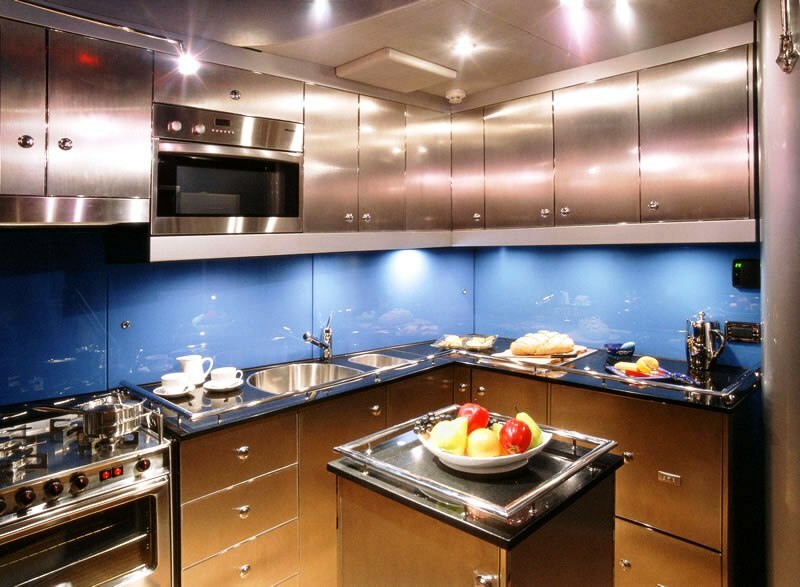 Aptly named 'Bliss' sets a new standard in luxury yacht charter in Australia. 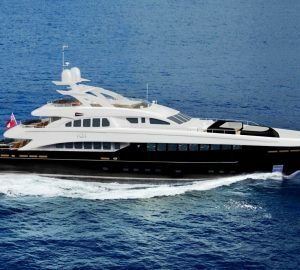 She was launched in November 2004 and was purpose built for exclusive charters. The yacht is built to USL 2C survey. 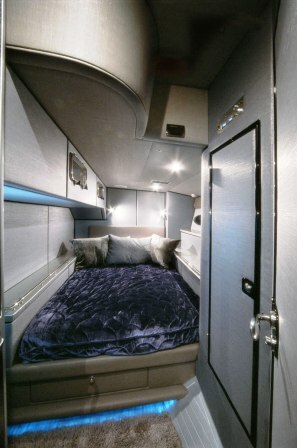 Six passengers overnight are recommended however the yacht can accommodate up to 8 passengers overnight. For day cruises the yacht can carry 10 passengers. 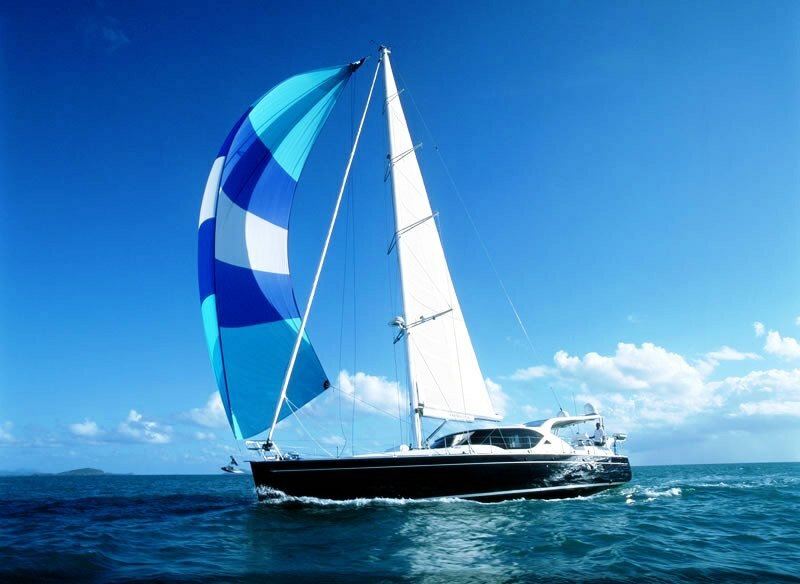 Bliss has a modern hull and rig design combined with features such as in boom furling mainsail, furling headsail, gennaker and electric winches throughout which enables guests to enjoy fast cruising sailing without any hard work. 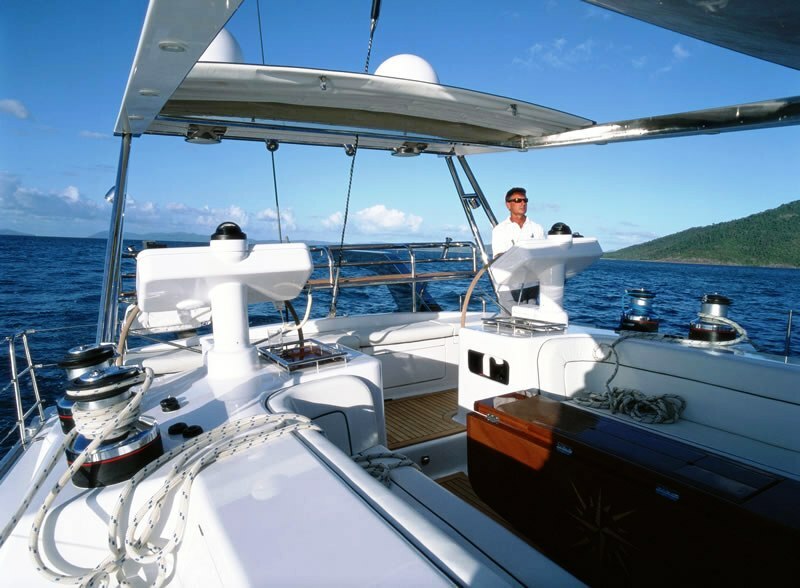 The cockpit features an electric targa roof so you can either be in sunshine or shade, and the roof and the pilothouse design provide protection from rain and spray. 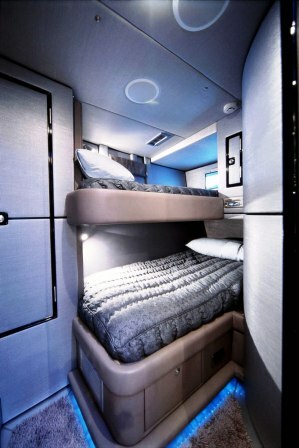 Inside the yacht has a minimum six feet headroom and climate controlled air conditioning throughout. The luxurious saloon offers panoramic views. 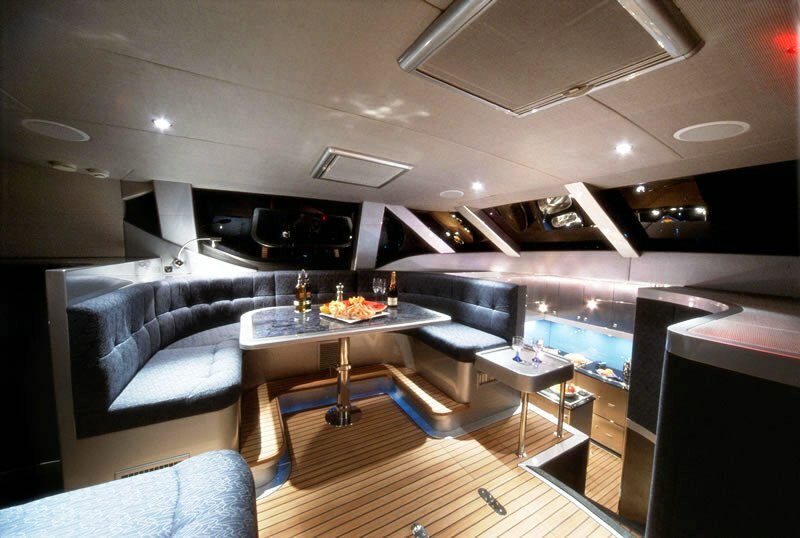 On the foredeck there is an additional area to enjoy the sun and scenery on the sun lounge. 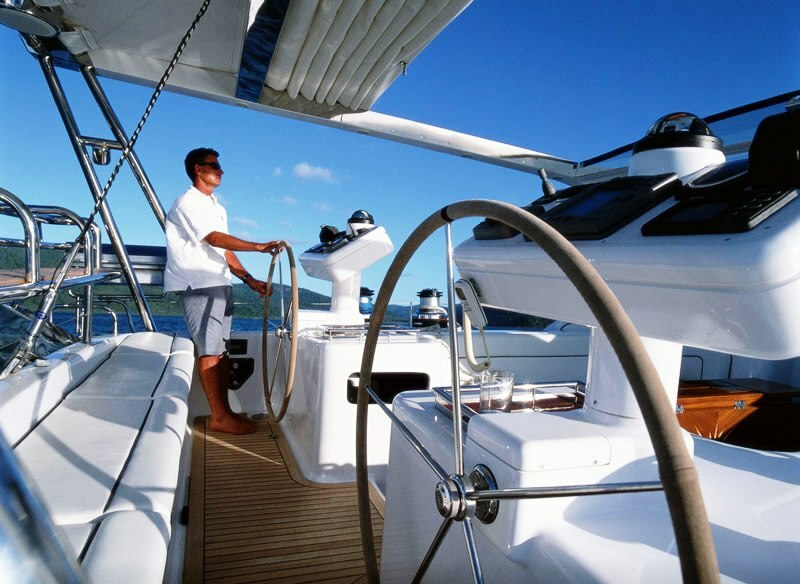 Sailing yacht Bliss provides luxury crewed charters with an internationally experienced captain with a wealth of local knowledge. Bliss also boasts a fully qualified chef, indulging guests with the delights of local produce and freshly prepared gourmet meals. 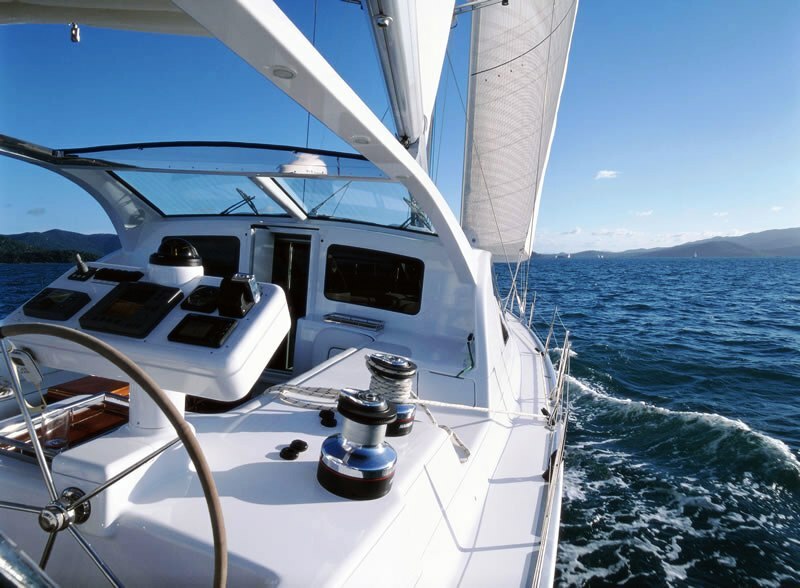 Whitsunday’s yacht charter holidays are famous in Australia for their fantastic sailing, beautiful scenery and ideal climate. This incredible charter location is now also beginning to be discovered by charterers from outside Australia. Why not come and enjoy one of the World's greatest aquatic playgrounds on luxury sailing yacht Bliss! 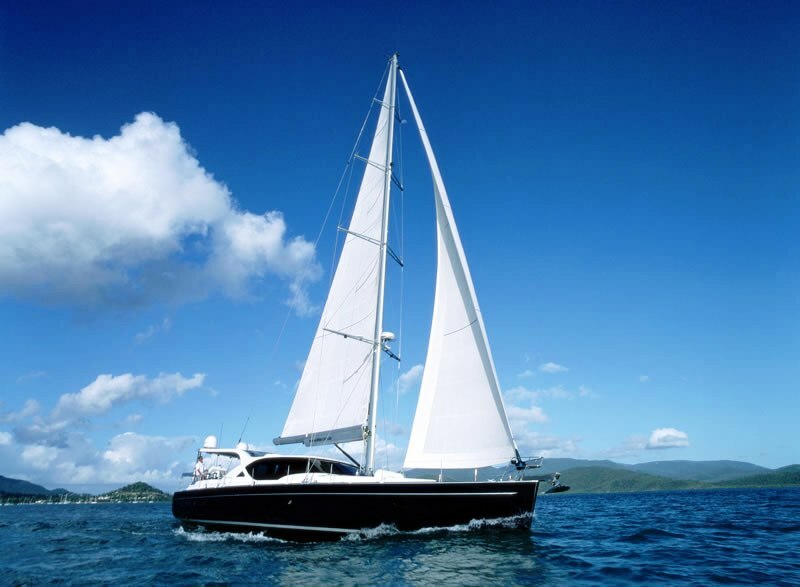 Luxury cruising yacht Bliss can accommodate 6 guests in three private queen size cabins, each cabin has a plasma screen TV, DVD, CD player, ensuites, individual climate control air conditioning, electric toilets, hot and cold pressurized water, demisted mirrors and heated towel rails. Bliss has the following toys and amenities: A 4m rigid-hull inflatable jet tender, waterski's, wakeboard, sailboards, fishing gear, snorkelling gear, dive gear at additional cost. Plasma Screen DVD + CD in each cabin, Wide screen in Saloon. DVD's + Satelitte and local TV. Retractable targa roof over cockpit with seating for ten, minimum six feet headroom throughout, foredeck sun lounge and panoramic views from the saloon. All winches electric/hydrolic, in boom furling mail, furling headsail and staysail, MPS. Satellite communications, mobile phone, HF and VHF radio dishwasher, watermaker / ice-maker, washer/dryer.